Sugar imbalances commonly contribute to symptoms of schizophrenia. 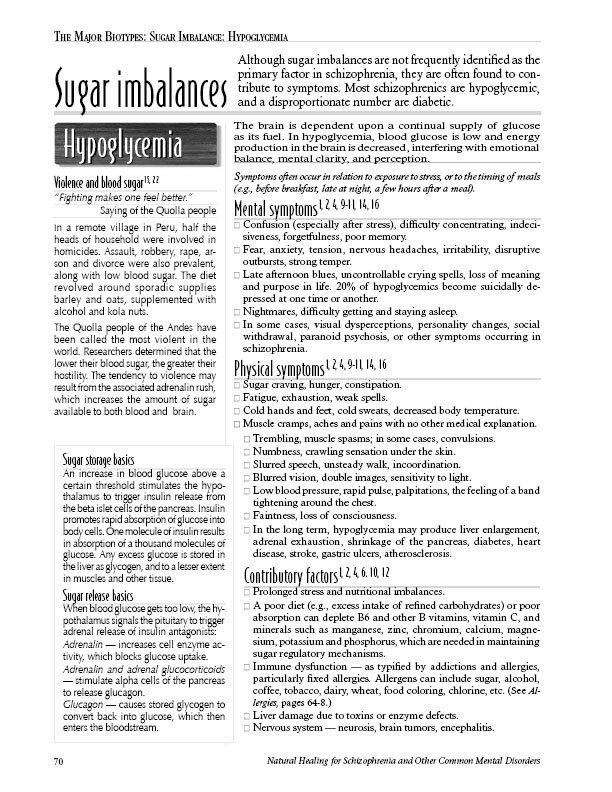 Most schizophrenics are hypoglycemic. The low blood sugar reduces brain energy production and interferes with emotional balance, mental clarity and perception.